An understated, classy gemstone is perfectly complemented by a cool and contemporary setting in this smoky quartz tension set ring in 14K white gold. A 6.5mm round smoky quartz provides the brownish-gray glimmer in this modern ring; this unique gem is given an extra dose of subtle sophistication by a shining tension setting of 14K white gold. 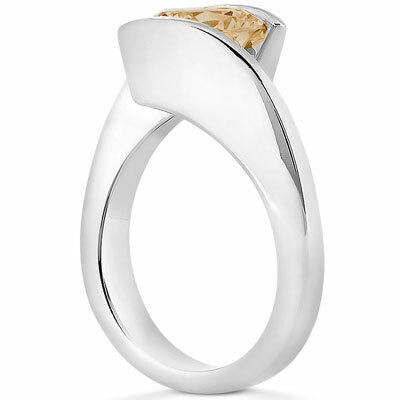 This setting hugs the center stone on the top and bottom, creating simple, chic shapes as they materialize seamlessly from the gleaming band. 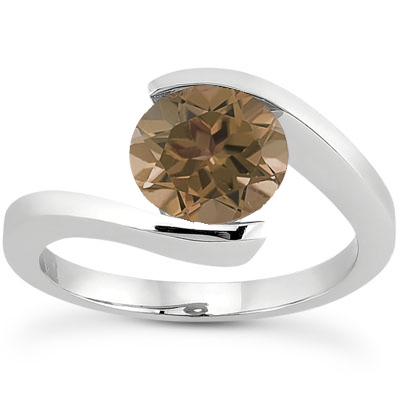 A striking 6.5mm smoky quartz is tension set in a 14K white gold setting. We guarantee our Smoky Quartz Tension Set Ring, 14K White Gold to be high quality, authentic jewelry, as described above.